Say Buon Natale with the wonderful Merry Christmas Panettone gift. Available for UK next day delivery, this gift is perfect for those foodies out there. 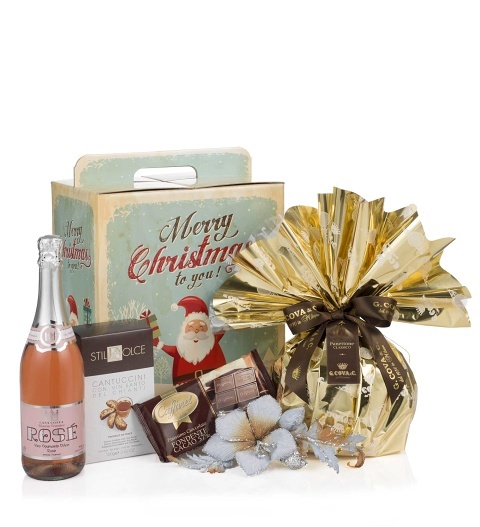 This gourmet gift is sourced direct from Italy with the finest Pannettone, Box of Cantuccini and Vin Santo del Chianty Stil Dolce 100g, authentic Italian Caffarel chocolates 100g complete with a very fine Reserve bottle of Italian Casa Costa rose 750 ml!